The Philippines’ largest terminal operator has outlined how it might transform the country’s biggest shipyard. 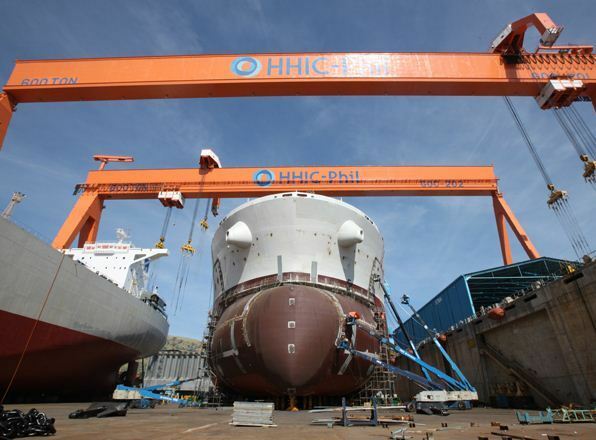 International Container Terminal Services, Inc (ICTSI) is interested in taking over the bust assets of Hanjin Heavy Industries and Construction Philippines’ (HHIC-Philippines) to turn it into a multipurpose facility and moving it away from its shipbuilding origins. ICTSI officials say the site could be used for power, steel, ship repair, multipurpose, automotive, or cranes but not shipbuilding. The ports giant is one of a host of companies around the world linked with taking over the Subic Bay facility, Southeast Asia’s largest shipyard by area, since the company went bust at the start of the year.